In Minnesota, Fishing is Big Business! The state of Minnesota features world-class fishing year round, at the 5,493 lakes dotting the region’s landscape. Between the top three varieties of fish found in Minnesota waterways (the Panfish, the Walleye, and the Northern Pike), there are roughly 18.9 million pounds of fresh fish caught every year just within the state! In the infographic below provided by the Mille Lacs Area Tourism Council, there are not just facts about the volume of fish harvested in Minnesota every year, but also economic data about the significant financial impact that fishing has on the state. 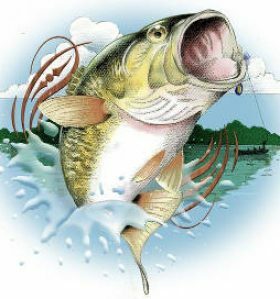 It is estimated that $1.8 billion is spent every year by anglers in Minnesota on fishing related activities. The overall economic impact is felt by a variety of local businesses from gas stations to cafes to bait shops to motels and municipalities. Enjoy this interesting look at fishing and the economy of Minnesota, and please feel free to share your own thoughts or questions!